However, the usual approach is to declutter, decide what you’ll keep, set up a system or two and you’re done. I propose a different approach. Start with the end in mind. Okay so that’s not particularly ground-breaking! Stick with me, there’s more. It doesn’t matter where you are in life, be it studying, climbing a career ladder, running a business, or juggling jobs and family life, it all runs more smoothly when we are organised. The real key to getting and staying organised is to first ask what are the benefits, what are the benefits for you. What’s your why? There’s this unspoken assumption that it’s a good thing to be organised. And yes, of course it is, but why? That’s the real question to ask and you gotta make it personal. 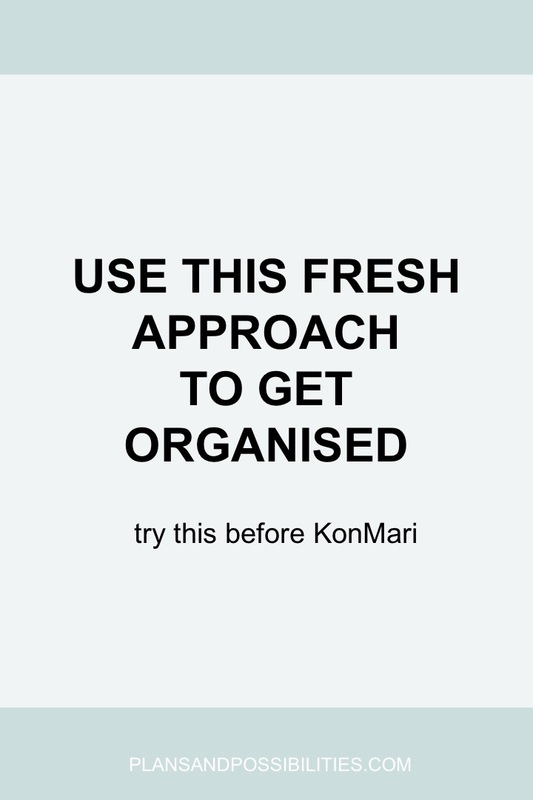 This becomes your reference point as you start taking steps towards getting organised. You’ll know when things are working because you’ll start experiencing those benefits. Would you like a home that’s more homely? Want to eat healthier meals? Want to stop running late; all day, everyday? Is it time to start arriving on time or even turn up early? Would you like to inspire and encourage your family or friends? Would you like to infuse more feelings of calm into your everyday? Or would you like to get so organised you free up enough time to be able to spend a whole day at the weekend doing whatever you fancy? Perhaps you’re an accomplishment addict and getting organised fuels your love of to do lists and timetables and with each item crossed off you get a mini adrenaline high; I am raising my hand to a little bit of all of the above. How about you? Knowing your reason why and keeping it to hand is the real key to getting organised and only then will getting organised expand beyond printing pretty labels for the contents of your pantry (hey, I like pretty labels, but there’s a time and place for everything). Once you’ve worked out your why and written it down, keep it to hand and review it regularly because it may well need updating as you make progress on this journey to being organised.